Silvia Villalobos, a native of Romania who lives immersed in the laid-back vibe of Southern California, is a writer of mystery novels and short fiction. 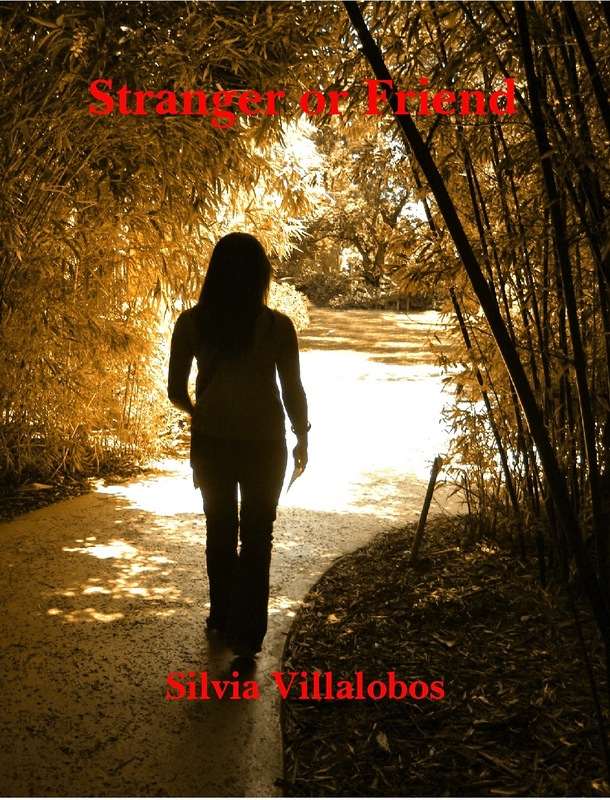 Her mystery novel, Stranger or Friend, was released by Solstice Publishing. Her stories have appeared in The Riding Light Review, Pure Slush, and Red Fez, among other publications. In the following guest post, Silvia shares her experience with book marketing through radio interviews. "As a published author, you will inevitably look to publicize your book via guest-blog articles, social media, and radio interviews. Assuming we’re talking about a good book, nothing drives sales more than marketing. I was thrown into the deep waters of marketing with my first novel, Stranger or Friend. In the course of two months, I did over 30 blog posts, more social media than I can remember, and three radio interviews -- one in person and two over the phone. With some help from my publisher and other authors, I immersed myself in publicity training. For the purpose of this post, and at Mona’s invitation, I will focus on one aspect of book publicity: radio interviews – how to secure them and lessons learned. In this day and age of internet radio stations, it really isn’t that difficult to secure an interview. However, as a new author, I was fortunate enough to receive help from my publisher, who, through a fellow author, helped schedule my very first internet radio interview with Power of Perception. For this appearance, I was asked to provide a short bio, book cover and blurb, and to be punctual. Once immersed in the school of marketing, I found that booking radio interviews, while time consuming, is something I can do on my own. Step one: I crafted a query email and sent it to the PR manager for my local radio station as well as to several independent stations. I received two invitations, one from said local station and one from a popular internet radio host. For the local station, I was asked to provide a Press Kit. For the second internet-radio interview, I was asked for a list of talking points and the usual promo materials (cover, bio, and book blurb). Step two: Once the interviews were scheduled, I spent hours going through the archives and listening to previous author interviews. Preparation, after all, is everything. 1. Each interview process is different. For internet radio, you will be asked to provide a bio, book cover and blurb, and depending on the host, talking points. These interviews are long (45 minutes to one hour) with no breaks, so long answers are standard. 2. For the in-person 30-minute interview with commercial breaks, keep your answers brief and to the point. 3. Prepare some possible responses, but don’t write them out verbatim; that would sound automatic. 4. Listen carefully to the questions. It’s easy for authors to become anxious and interrupt the host. I did it a couple of times; had to catch myself and relax, wait for my turn. 5. Be energetic. If the guest comes across as distant, the audience will not care. If you are doing a phone-in radio interview, smile. The audience will hear it in your voice. 6. Refer listeners back to your book. This is why you’re doing the interview in the first place. Subtly refer people back to your book every chance you get. Creating name recognition through marketing is a process; one that might take several books and a focused marketing plan. Writing a great book is half the job. For the rest, we have to step out of our creative comfort zone. While we’re at it, and because marketing is different from writing, it’s important to relax and have some fun." Improve your opportunities for writing success by joining Internet Writing Workshop.